Update (11/09) Environment Man Show On New Oprah OWN? Update (2/09): Environment Man Show On New Oprah OWN? Specific new programming elements for the "Oprah Winfrey Network" (OWN) are still in development. How will the launch of OWN affect programming on Discovery Health Channel?OWN’s mission is to create multiple platforms for women, men and their families with a purpose and a passion: to celebrate life, to inspire and entertain, empowering viewers around the world to live their best lives, and by doing so, lift the lives of those around them in ever-widening circles. How can I submit my resume OWN? Where will the headquarters be for the OWN? The headquarters for this new enterprise has not been determined at this time. We encourage you to visit Oprah.com periodically for more information. Will the OWN be broadcasted in other countries outside of the United States? 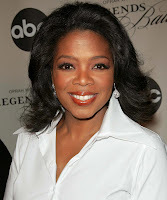 The Oprah Winfrey Network will begin broadcasting in the second half of 2009 in the U.S. only.